As biohackers, we are used to improving our bodies to improve health and achieve peak performance. Logically, we experiment and follow the lifestyle and dietary choices that best suit us. However, these ideal states might take us to the other side of the spectrum, by limiting our options and making us more fragile. 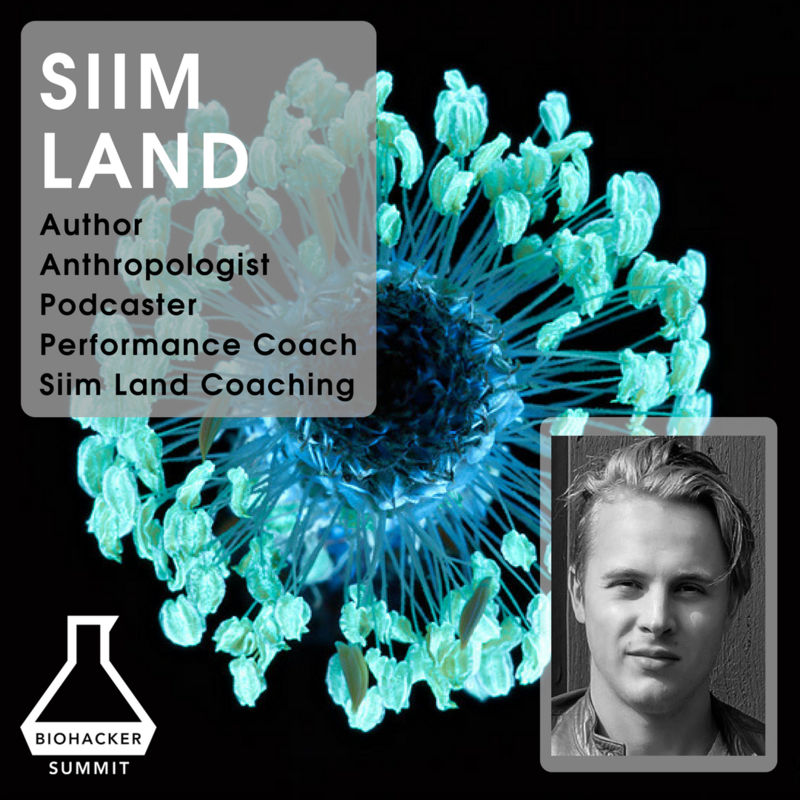 In his talk at the Biohacker Summit in Stockholm, Siim Land addressed these concepts in a very accurate and practical manner. Read more to learn all the strategies to become antifragile, and also watch his great presentation on the topic. Nowadays, people suffer from chronic fatigue, diabetes, and obesity among other health issues. Even ‘healthy people’ experience periods of brain fog or feeling not optimal. The concept of metabolic flexibility or antifragility was introduced by Nassim Nicholas Taleb. He explains that if a fragile body suffers from stress, an antifragile organism will get better from it and evolve. This concept is different from resilience when the organism actually stays the same. The keto diet has been exponentially growing in popularity in the past years. However, it’s not actually a new concept as is has been used since the 1920s to treat children with epilepsy and neurological conditions. Our body has 2 main fuel sources – glucose and ketones. Ketones (or ketone bodies) are byproducts of fatty acid metabolism and are used when glucose is lacking. Besides the burning fat and helping weight loss, the keto diet also helps reduce inflammation, improves mental clarity and sharpness, increases energy levels, improves the skin, reduces food cravings, improves mitochondrial health, has anti-aging properties, and reduces the risk of chronic disease. At this point, Siim introduced the antifragility concept in keto. A body adapted to burning fat in times of fast or low blood sugar is already more resistant to external stress. Our body has an unlimited ability to store fat; however, its ability to store glucose as glycogen is limited. When a body running on carbs doesn’t get enough amount of energy from food, cravings, low energy, brain fog appear when energy storages are depleted. On the other hand, when keto-adapted, fat can be used as fuel even with as low as 10% body fat. Long-term keto diet also has other metabolic benefits. Usually, glycogen is used during intense exercise, while low-intensity exercise mainly uses ketones. However, keto-adapted athletes can even burn ketones during high-intensity exercise. There is a big difference between being in ketosis and ketoacidosis. This first is the state when you’re using mainly ketones as an energy source, while ketoacidosis is a pathological condition as a complication of diabetics or alcohol poisoning. During keto-adaptation, the produced ketones are burned and used as an energy source, therefore not increasing to dangerous levels for the body. People switching from a high-carb to a high0fat diet may experience what’s called the ‘keto flu’ – an energy crisis of the body when swapping between energy sources – which is a transitory state and is resolved when you become keto-adapted. This being said, a strict keto diet is a fragile state due to food limitations and strict macros, and many may experience an energy crisis when off keto. These strategies can be used in specific conditions to achieve metabolic flexibility and antifragility. Metabolic flexibility to maintain the ability to use carbs and avoid experiencing the keto or carbs flu. Nowadays, we find that many people developed allergies or intolerance to certain food or have restricted diets (e.g., gluten, vegan, paleo). Thus, these limitations are preventing them from achieving their metabolic true potential and antifragility. Metabolic flexibility is about following our best and healthies dietary patterns 95% of the time while challenging ourselves the remaining 5%. True metabolic flexibility is achieved when the body returns to homeostasis (balance) faster. Foods that promote hormesis (the biological concept that small quantities of a substance have a beneficial effect, while otherwise toxic in large quantities) and can help achieve metabolic flexibility and antifragility. However, too much exogenous antioxidants aren’t beneficial either as the body doesn’t naturally adapt to stress. Consuming antioxidants in moderation (mainly those from the diet) and training our stress response with exercise, sauna, and cold thermogenesis will make us more antifragile. Implementing antifragile strategies as high-intensity exercise, sauna, and cold thermogenesis. Watch rest of the presentations in the Biohacker Summit 2018 Stockholm video series here. Siim Land is also one of the organizers of the Biohacker Summit in Tallinn on 14-15th of September. Ketogenic diet will be a big topic there as well.